I've also noticed that a lot of people have been searching for ways to explain Good Friday to young kids. I posted about that when CC was 4. It's a tricky subject, but something that is wholly worthwhile. And you never know how your child might respond. It could actually amaze you. I'm a sucker for anything having to do with Reese's. And when I found out about Reese's Peanut Butter Ice Cream Eggs, I knew what my first Easter treat would be. I tried a pack ($4.39), courtesy of Good Humor, and friends, you will not be disappointed. They taste just like the non-frozen, already awesome treat. How amazing are these Sharpie eggs from mom.me?! 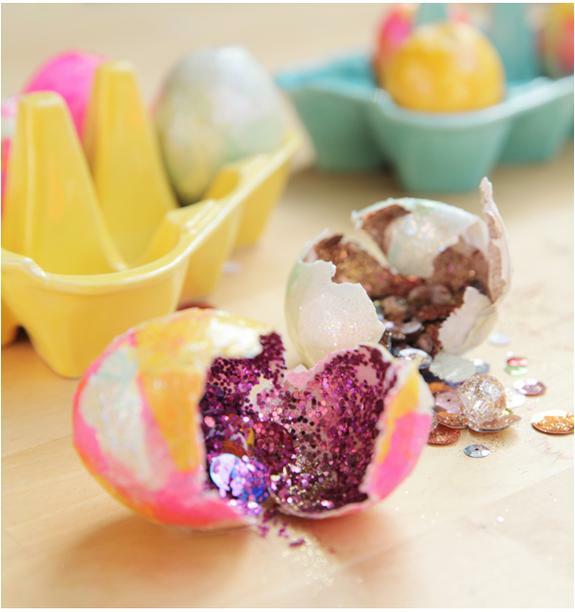 What a simple yet super-creative Easter project for the family. I'll have to try these with CC! For more egg-spiration (sorry, it's that time of year! 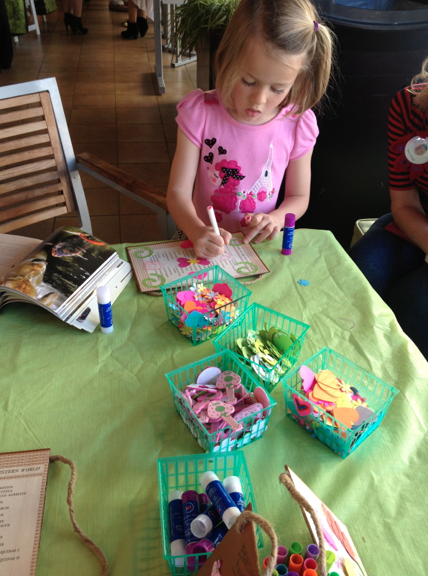 ), check out chalk eggs and cascarones. Moms and moms-to-be were out in full force March 14 for Big City Moms' Biggest Baby Shower Ever. And, yes, it was that big! The event, held at the swank Taglyan Cultural Complex in Hollywood, offered up tons of brands, product representatives, delicious food and refreshments, seminars from The Honest Company, The Pump Station and more. There were even a few famous faces in the mix. At the Born Free booth (Will loves the Born Free bottles, btw), I spotted Giuliana Rancic of E! fame. I also saw James Van Der Beek and his wife, Kimberly, who also happens to be a wellness blogger and spoke at one of the seminars about birthing plans. If you're a mom-to-be and didn't get a chance to catch the L.A. version of the Biggest Baby Shower Ever, which was presented with Fit Pregnancy magazine, then you can head up to San Francisco for their Northern California installment -- their first! -- on April 25. And if you're a first timer, even better. You'll have lots of opportunities to ask questions and test out products. Just don't get overwhelmed. Think about what's important for you and your baby. That's the most important thing! One of the frustrating signs of aging is seeing those telling lines around your eyes. It's funny, I can't really even remember or pinpoint when I started seeing them. And I found this great serum from Dermalogica, a company I already know and trust. They launched a new product this month called Ultrasmoothing Eye Serum ($50), which I've tried out for myself. It's an anti-aging product that caters to sensitive eyes. Brilliant! The ingredients contain all sorts of botanicals, such as golden chamomile, carrot root extract and brown and red algae extract, to soothe skin, reduce irritation and reduce puffiness, respectively. It's so gentle going on, and I love the way it smells (that goes for all of Dermalogica's products, actually). It's so light with a hint of citrus. And I got great advice from Annet King, the company's director of global education. She said, when putting on facial products, to put the lightest ones on first and then the heavier ones, like dressing for New York in the winter. Well said. Now I know. UPDATE: Congrats to Noreen, who won the two packs of Lucy's cookies! Enjoy! 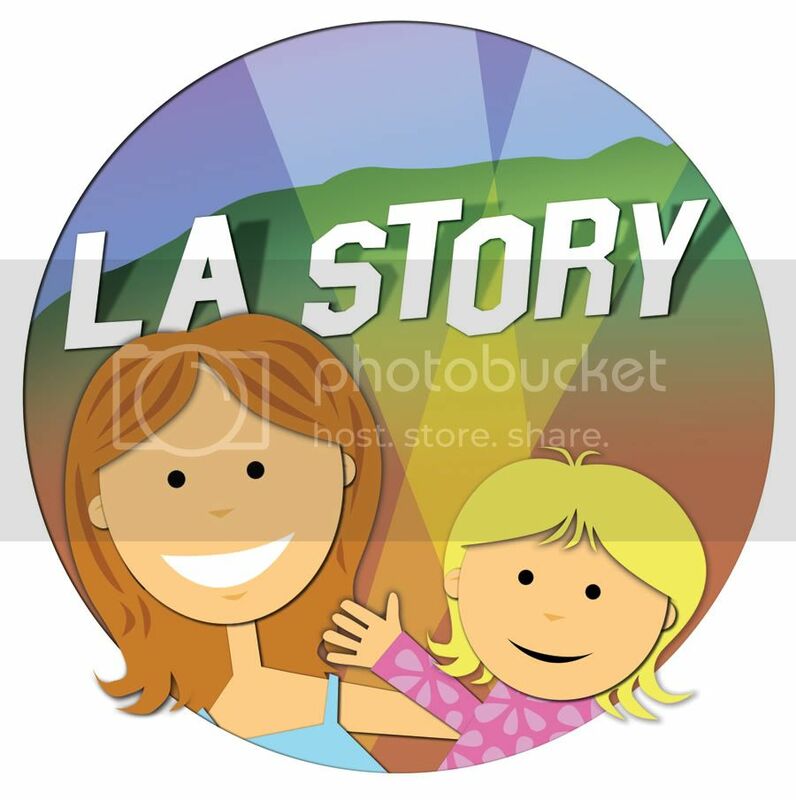 Please email me at losangelesstory@gmail.com with your address, and I'll have them sent your way. Thanks to everyone who participated! Did you know that March is Maple Syrup Month? First of all, yum. 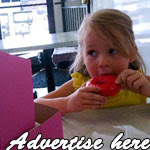 And in honor of such a tasty month, I wanted to give you the scoop on Lucy's cookies, which are gluten free and vegan. While I obviously love cookies, I also enjoyed hearing founder Dr. Lucy Gibney, who also happens to be an M.D., talk about what prompted her to move from medicine to gluten-free treats. Turns out she experienced a parent nightmare when her young son switched from breast milk to formula. At the first sip, her child went into anaphylactic shock because of severe allergies. Her emergency medical training came in handy, and her son is now thriving. But, as he got bigger, that meant no cookies. Until Dr. Lucy decided to make her own in 2006. They are now in 7,000 stores nationwide, including Whole Foods, where several bloggers and I met for tea. 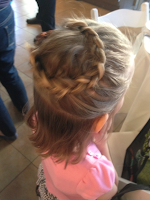 And while I was listening to Dr. Lucy's story, CC was being entertained by reps from Little Junebugs, an adorable craft/gift store in Pasadena, and getting her hair braided by Ambiance salon (thank you!). I'm giving away 1 package of Lucy's Maple Bliss and 1 package of Lucy's Oatmeal cookies! Again, yum! To enter, just leave a comment telling me if you've ever tried Lucy's and what flavor you've tried or would like to try. Good luck, and I will announce the winner on Thursday, March 28! This is the time of year when parents applying to schools go a little nuts. And that's putting it mildly. Whether they're worrying about their child's admission to preschool, high school or college, moms and dads are probably getting to know their postal worker a little too well, as checking and re-checking the mailbox becomes a dangerously addictive habit. 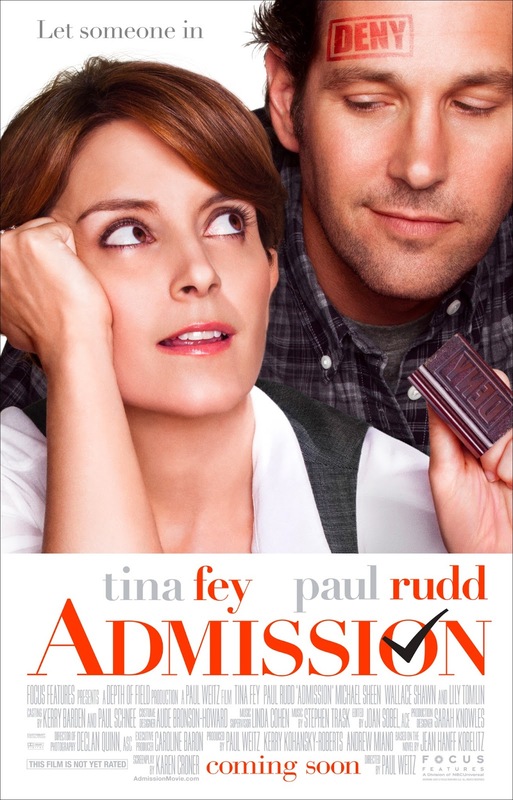 So it's perfect timing that mom Tina Fey's new movie, Admission, co-starring Paul Rudd and directed by Paul Weitz (About a Boy), hits theaters. Opening Friday, March 22, the Focus Features dramedy tackles everything from college applications, job promotions, motherhood and love, with several laughs along the way. Fey stars as Portia, a straight-laced and driven college admissions officer at Princeton University who is living with one of the school's professors (Michael Sheen) and gunning for a promotion -- along with a rival admissions officer. But it's her annual spring recruitment trip around the country that turns her by-the-book world upside-down. Along the way, she meets -- or rather, reconnects with -- a former college classmate, John (Paul Rudd), who's teaching at an alternative high school in Maine; her mom (Lily Tomlin), who actually has an painting on the wall of a fish riding a bicycle (hello, Gloria Steinem! ); and high school senior Jeremiah, who might be the child she gave up for adoption when she was in college. While the movie definitely has its laughable moments -- Sheen and his predicament with another Princeton prof (Sonya Walger) is one -- the movie also has its poignant ones, as Portia navigates a road trip that could lead her in unexpected places. Her budding relationship with John is both funny and heartfelt -- after all, it is Tina Fey, folks -- but her dialogue with her mom can be, at times, caustic and harsh. It's her connection with Jeremiah, though, that breaks Portia out of her slavish routine, letting her ask herself if she has, in fact, taken the right road. At times, I had wished for more laughs and more signature snarkiness from Fey. I mean, that's what she does best, right? That's not so much her personality in this film. And, I know. Acting. (They're not always playing themselves.) But it was the poignant moments between mom and maybe-son that really took me by surprise -- especially now that I'm a mom to two lovely little kids. Baby Will is getting bigger! The months seem to be coming around so quickly. 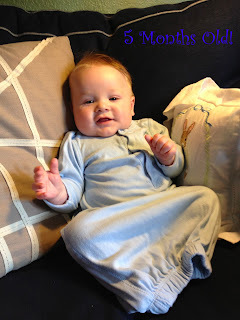 Baby Will is already 5 months old, and he's still such a little sweetheart. In fact, a few weeks ago, he caught the bug that apparently all of Los Angeles had, and he seemed to take even a stuffy nose and coughing in stride. The biggest milestone of late? He rolled over -- both ways! -- yesterday for the first time. He also loves grabbing one foot and pulling it around. He's such a smiley little guy and adores -- seriously adores -- his big sister. He smiles at anything and everything she does. And she loves performing, so win-win! Check out my interview with actress and children's book author Julianne Moore on mom.me! 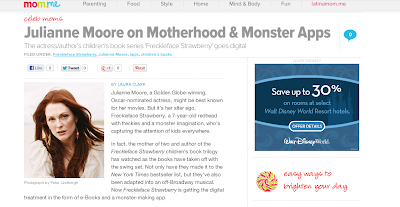 She talks about her Freckleface Strawberry series going digital, her new (free!) monster app -- and what her son said when he was 7 that inspired her to start writing in the first place. CC loves the books, about a 7-year-old girl who's not too crazy about her freckles and red hair. Of course, what we learn, is that it's exactly those things that make us who we are. It's funny to think that Moore -- who looks amazing at 52! -- would ever feel insecure about her signature traits. But she tells us that she's grown up and now that's at "the bottom of the pile." Watching Academy Award-winning Life of Pi on a mobile device was, I'm sure, nothing like watching the gorgeous film on the big screen. The visuals -- which earned the movie one of four Oscar last month -- were so dreamlike and colorful that a small screen could surely do only some justice to the original film. But watching it on my iPad, I still found the movie incredibly stunning. 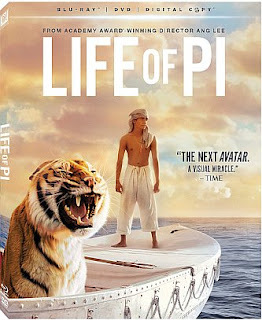 Life of Pi is the story of a young Indian boy (Suraj Sharma) who, while on a voyage across the Pacific with his family and the zoo animals they own, becomes lost at sea, tossed out on a life boat carrying limited supplies and a tiger named Richard Parker. It's a beautiful story of survival and (guarded) friendship, of hope, doubt, spirituality and belief. Pi, the boy who was named after a public French swimming pool called Piscine Molitar, decides to explore all sorts of religions as a child -- Hinduism, Catholicism, and the Muslim faith. In fact, as a grown man, he calls himself a Catholic Hindu. It's his struggle at sea with a vicious tiger that keeps him sane but also compels him to delve more deeply into his own beliefs and spirituality -- proving to him and those around him that God does, in fact, exist. The DVD hit shelves this week, and I encourage you to take a look if you haven't already. And, if you're in LA, head down to L.A. Live and check out this fabulous 3D chalk drawing by artist Tracy Lee Stum. It will be on display until March 16. Oh! And Happy Pi Day! Calling all new moms and moms-to-be! 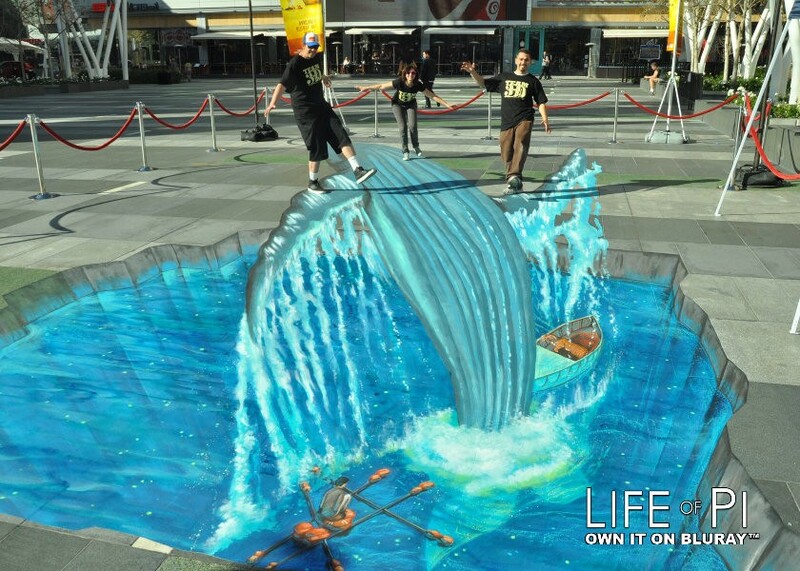 There is going to be a huge event in Hollywood Thursday night that's just for you! The Biggest Baby Shower Ever, presented by Big City Moms, will take over the Taglyan Cultural Complex on Vine. 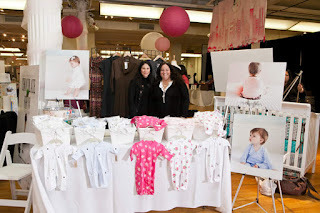 The event will showcase baby gear from companies including Britax, Born Free, The Honest Company, Bugaboo, Pottery Barn Kids and more. Partnering with magazine Fit Pregnancy, Big City Moms, a networking and resource site for moms, will give moms an opportunity to see what the latest products are for the little ones. Industry experts -- and even a few celebs -- will be on hand to talk about and revel in all things baby. Attendees will also go home with samples of new, must-have baby items. A few weeks after Baby Will was born, one of CC's friends took her to see Rise of the Guardians, the DreamWorks Animation film that pits a group of children's heroes (the Easter Bunny, Santa Claus, the Tooth Fairy, Sandman and Jack Frost) against an evil spirit that wants to dash kids' hopes and beliefs. It was an important moment for CC -- a new baby was stirring things up, we seemed to be chronically home bound, and she had just started kindergarten at a new school. So I was grateful to her friend's mom for offering. She got to get out of the house and have a play date with a new friend. While I wanted her to go to a fun movie, at the time my main concern was that she just have fun -- whatever kid movie she was going to see. What I didn't expect was what she said when she came back home. Not only did she enjoy the elves and the adventure of it all, she also told me, "Mommy, I believe." It was so sweet and childlike. I loved that she sounded inspired and ready to conquer the world. Especially at a time when it seemed like so many challenges were trying to conquer her. 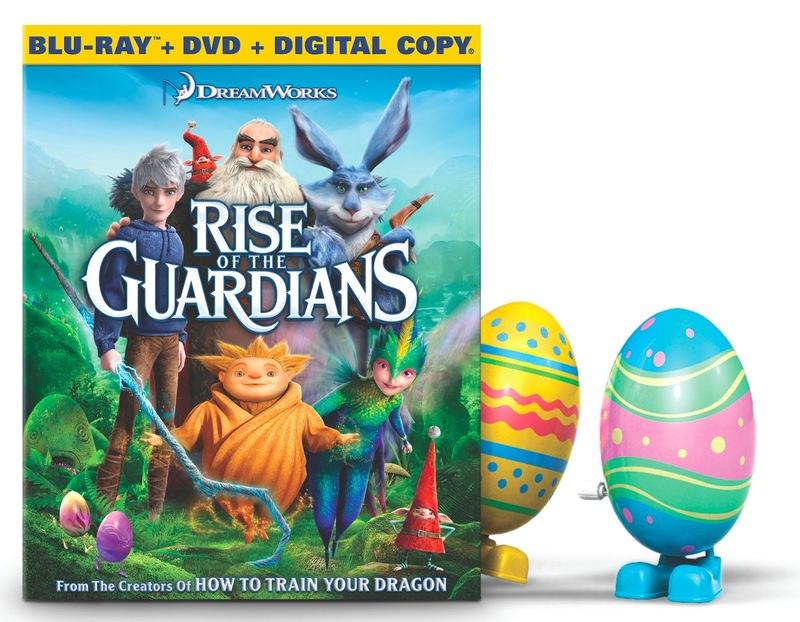 Rise of the Guardians on DVD + Blu-ray hits shelves today -- along with a couple wind-up eggs, in time for Easter. Extras include printable egg holders, coloring sheets, as well as Sandy's dream guide and a look behind the scenes. I'm sure the Easter Bunny (in this case, voiced by Hugh Jackman) would be very pleased. Not only that, but the director, Peter Ramsey, has an L.A. connection. He grew up in the city, attended Pali High, UCLA and is a dad himself! What I'm looking forward to most, though, is watching this DVD with my little girl and seeing what made her believe. 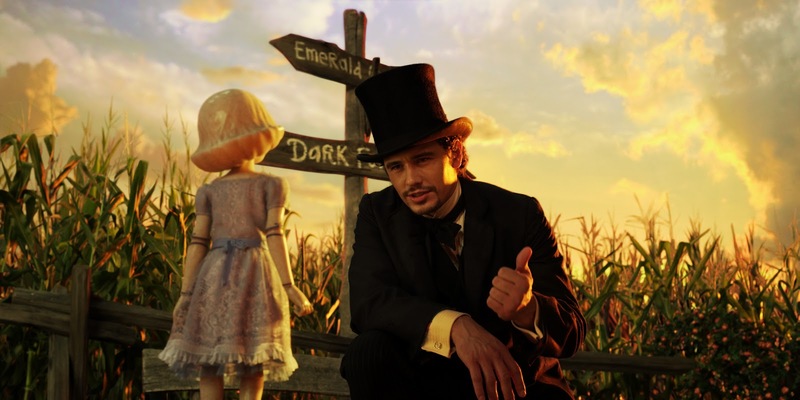 James Franco stars in Oz the Great and Powerful. Oz the Great and Powerful -- the latest big-screen trip down the yellow brick road -- opened in theaters last Friday and scored big at the box office. I had the chance to check it out the night before it opened at the El Capitan Theater in Hollywood, and I have to say, the rest of the audience and I got quite a surprise! Seeing the film's costumes in the lobby was a treat in and of itself (love to see how big or small the actors must be), and competing for fun prizes like a Disney Park Hopper Pass was great, too. But it was when stars James Franco and Zach Braff before him took the stage that the audience really went nuts. Like super nuts. One fan even ran onstage to lunge-hug Franco. Fired up, everyone was beyond enthusiastic once the film started. My not-so-perfect pic of James Franco & Zach Braff. I thought Oz was lots of fun, and the special effects were impressive. Director Sam Raimi (of Spider-Man fame) really brought the world to life and added his own touches that worked well in 3D -- flying baboons (not monkeys in this prequel -- hard-core, scary-sounding baboons), flying spears and lots of explosions. For this one, I decided to bring a co-worker instead of CC, in case it was too scary -- which it could be for younger kids. Of course, when CC found out that I saw it without her, she was less than pleased. "Why couldn't I go to Oz, Mommy?" she asked the next day. "Because it might be too scary for you, Sweetheart," I replied. "Well, I'm not scared of anything except zombies whose ears pop off," she said. "I'm not 3 or 4, Mommy," she continued. We'll see if I'll take her -- she's pushing hard -- but I did enjoy it. The film didn't take itself too seriously and didn't shy away from humor as well as heart. And, of course, seeing the film's star in person never hurts. 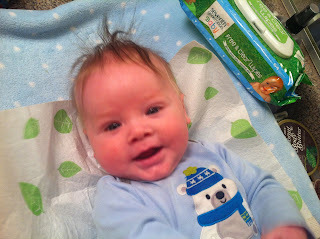 Baby Will - a happy guy even on the changing table. UPDATE: Congrats to HiLesha, who won the package of Seventh Generation baby wipes! And I'll definitely have to check out the NoseFrida. Thanks again to everyone who participated! When it comes to baby wipes, we know how hard they have to work. Let's face it. Changing table time can be stressful -- for both parent and baby. And now that I have a boy (who makes us smile all the time with his happy face, btw), I've learned about the added challenge of sudden fountains of, well, you know. So, as you may know, we need wipes. Lots of them. I had the chance to try out Seventh Generation's new Free & Clear Baby Wipes, and they're so great! Not only are they free of fragrances, dyes, alcohol, parabens and phthalates, but they're also soft, thick and absorbent. I love that they don't fall apart. I also love that you can feel good about using them on baby's hands and face. Another added plus: They're easy on the environment. Seventh Generation has reduced plastic use by 70% through the use of plant materials. So I had a feeling that you might want to check them out, too. Here's how you can. 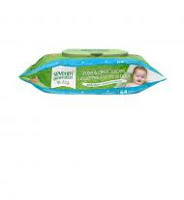 I'm giving away 1 package of Seventh Generation Free & Clear Baby Wipes ($2.99 for 64 ct.). To enter, share a baby care tip in the comments section below. For more chances to win, tweet at @SeventhGen and share the giveaway. Be sure to add the link in the comments section. Good luck, and I will announce the winner on Friday, March 22! As you know from checking out this blog, CC and I love to travel. Whether it's anywhere in SoCal, Oklahoma or even as far as L.A. sister city Berlin, we love to learn about the world around us. That's why I was happy to check out Little Passports, the subscription package that introduces kids to different states (USA edition) and countries (world edition). We received a sample package of the USA edition, and it was jam-packed with fun items like activity books, a color/scratch book, postcards, a field guide, map, stickers and even a disposable camera. What's great about the package -- besides the fact that it comes in the mail (who doesn't love getting fun mail?!) 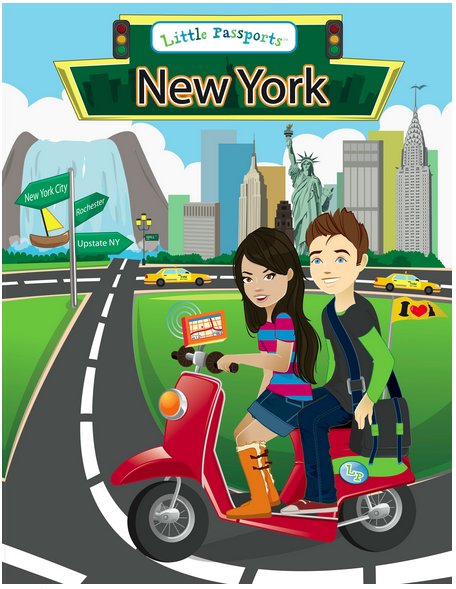 -- is that it's interactive and shares the story of Sam and Sofia, young travelers who visit two states per month. We got to check out Florida, Texas, New York and Nebraska! I love the idea of CC learning about different states via virtual visits and activities. While we can't promise a road trip to all 50 states, she can get a taste of her country from her own backyard. And the packages are presented in such a kid-friendly way, as to pique curiosity and inspire learning. Let's just say it's not a boring bunch of facts. Whatever subscription you choose, it's definitely more cost-effective than an actual ticket to, say, Egypt, Iceland or Kenya. Just keep in mind that your little traveler might ask you to take the actual trip. Cavalia's 'Odysseo' is playing under a big top in Burbank through March 24. Hidden under a towering white Big Top in Burbank is Cavalia, a magical show that brings together beautiful horses and ethereal performers who don't so much entertain as captivate. Cavalia's latest incarnation, Odysseo, opened to rousing praise on Feb. 27, when CC and I caught the show with friends. 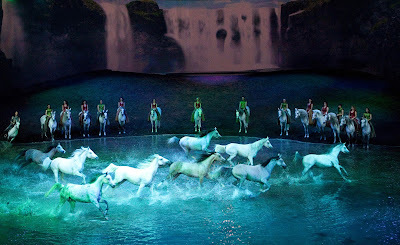 As with their performance in 2011, we were once again thrilled by an amazing live spectacle that includes 67 horses (all males, much to CC's dismay), 44 artists, a 15,000 square-foot stage and a finale that includes an 80,000-gallon onstage lake. Impressed? Why yes, we were. What's magical about this show is the gentle communication between horse and human. There are no whips or harsh words. It's not a circus or rodeo, but rather something more serene. The set alone is breathtaking, taking on a woodland theme of tall trees surrounding a hilly stage of sand. A video backdrop the size of three IMAX screens extends along the back and realistically creates the illusion that you're at times on Easter Island, in a desert or surrounded by snow. The horses captivate by running freely over the stage, responding to performers' words, turning in circles, placing their heads on each other and galloping at nearly full speed as the artists twist and turn over their bodies. You don't often get to see large animals roaming freely one minute and performing beautifully the next. It's an experience I would recommend to anyone -- adult or child -- who can appreciate the wonder of nature.